The Muslim-Jewish Advisory Council, a new national group of leading Muslim and Jewish Americans, was launched this month at a meeting convened by the American Jewish Committee (AJC) and the Islamic Society of North America (ISNA). The Council brings together recognized business, political, and religious leaders in the Jewish and Muslim American communities to jointly advocate on issues of common concern. Stanley Bergman, CEO of Henry Schein, and Farooq Kathwari, President and CEO of Ethan Allen, are the Council’s co-chairs, and the initial members are listed below. “Our two communities share much in common and should find ways, where possible, to work together for the benefit of the entire country,” said Stanley Bergman, Co-Chair of the Council. “The Council aims to provide a model for civic engagement by two communities, vital to American society, that agree to work together on issues of common concern and overlapping interest,” said Farooq Kathwari, Co-Chair of the Council. For the member list, go here. In December 2014, the GMBDW reported on an agreement between a group of Jewish rabbis and Muslim imams to hold joint events during a summit described as being designed to strengthen ties between mosques and congregations. The American Jewish Committee (AJC) is a Jewish ethnic advocacy group established on November 11, 1906. It is one of the oldest Jewish advocacy organizations and, according to a New York Times report is “widely regarded as the dean of American Jewish organizations”. 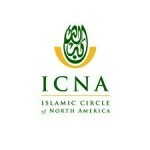 The Islamic Society of North America (ISNA) describes itself as “an independent, open and transparent membership organization that strives to be an exemplary and unifying Islamic organization in North America by contributing to the betterment of the Muslim community and society at large.” ISNA emerged out of the early U.S. Muslim Brotherhood infrastructure and documents discovered in the course of the the terrorism trial of the Holy Land Foundation confirmed that the organization was part of the U.S. Muslim Brotherhood. 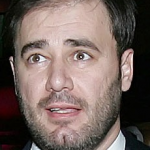 ISNA was named as a Holy Land unindicted co-conspirator as a result of what the US Justice Department called the organization’s ” intimate relationship with the Muslim Brotherhood, the Palestine Committee, and the defendants in this case.” In 2009, a US federal judge ruled “The Government has produced ample evidence to establish the associations of CAIR, ISNA and NAIT with HLF, the Islamic Association for Palestine (“IAP”), and with Hamas.” ISNA has had a long history of fundamentalism, anti-semitism, and support for terrorism. Of late, ISNA has been engaged in an active program of interfaith cooperation that has included partnerships with Jewish organizations and visits to concentration camp sites in Europe. Past posts have discussed the ISNA twinning program in the US and the decision by two rabbis in western New York to pull out of the effort, charging that ISNA is involved in Islamic fundamentalism. In April 2011, the GMBDW reported that ISNA had announced the expansion of its mosque/synagogue “twinning program” to Latin America. 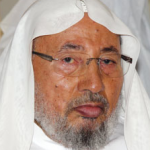 Yet despite these new efforts, ISNA continues maintain strong ties to both the US and Global Muslim Brotherhood and has failed to date to acknowledge any aspect of its actual origins or its history of fundamentalism, anti-semitism, and support for terrorism. 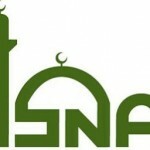 For these reasons, the Global Muslim Brotherhood Daily Watch concludes that ISNA remains, as it always has been, an integral part of the US Muslim Brotherhood.